The nominee for the 2019 Juno Award for traditional roots album recommends reading The Republic of Love by the late Canadian novelist. It's Juno Award time again! The annual celebration of outstanding achievements in Canadian music airs live from London, Ont. on Sunday, March 17, 2019 on CBC Television, CBC Radio and CBCMusic.ca/junos. CBC Books asked some of the 2019 nominees to share their favourite books. Nicky Mehta, along with bandmates Ruth Moody and Heather Masse, is part of the award-winning Winnipeg folk music trio The Wailin' Jennys. The band's fourth studio album, Fifteen, is nominated for the Juno Award for traditional roots album of the year. 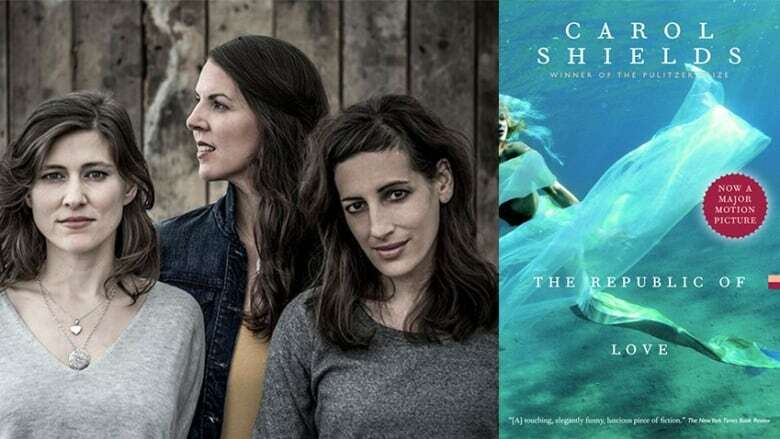 Mehta recommends the novel The Republic of Love by Carol Shields. "Let me first say that it is almost impossible to pick out a favourite book. But it has to be one I return often, and the clear winner is The Republic of Love by Carol Shields. Shields was born and raised in Illinois, but she lived much of her life in Winnipeg, my hometown. This gorgeous, engrossing book is part intelligent love story and part unspoken ode to Winnipeg. "For almost 30 years, it's been a comfort book when I am homesick or just sad. It's a creative inspiration, a real example of masterclass fiction. I remember when it first came out, a New York Times reviewer said the book made them want to fly to my much-maligned city and hang out. There's something magical about a brilliant Pulitzer Prize-winning author writing so affectionately about my neighbourhood. When I walk down the street, I half expect to run into the beloved characters of my favourite book. Doesn't get much better than that." Nicky Mehta's comments have been edited for length and clarity.